The classic bath products brand, Vitabath, has given their product line a refreshing update with the introduction of the new Lime Citron Basil Gelée. It's a refreshing and hydrating body wash with an amazing scent which melds lime (I happen to LOVE lime), citron, sweet basil and patchouli notes beautifully. Go-->Lime Citron Basil Gelée will be available exclusively at Costco locations beginning in June. 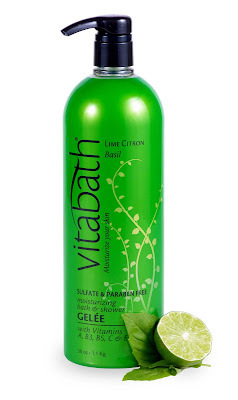 *This product was provided courtesy of Vitabath PR for reviewing purposes.